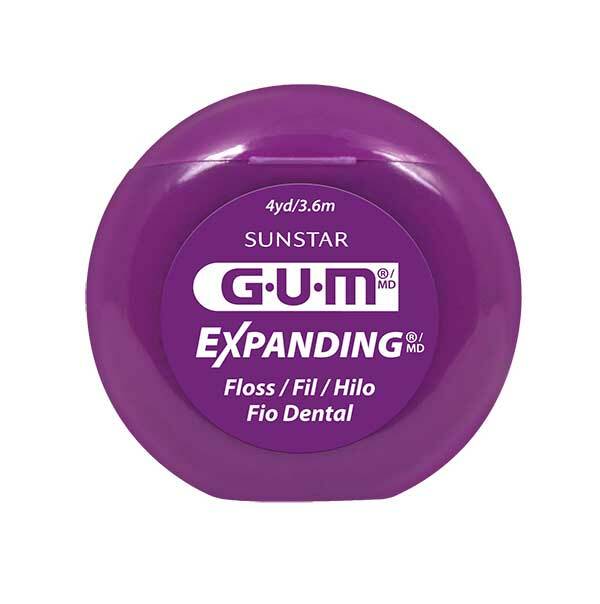 GUM Expanding Floss | Sunstar Americas, Inc.
GUM Expanding Floss expands during use to remove plaque gently from tight spaces and wide gaps. The lightly lubricated wax provides enhanced handling and insertion between the teeth. The nylon fibers are gentler on the gums due to its wider diameter. Strong, smooth, and shred resistant Ideal for people with irregular or large gaps between their teeth.